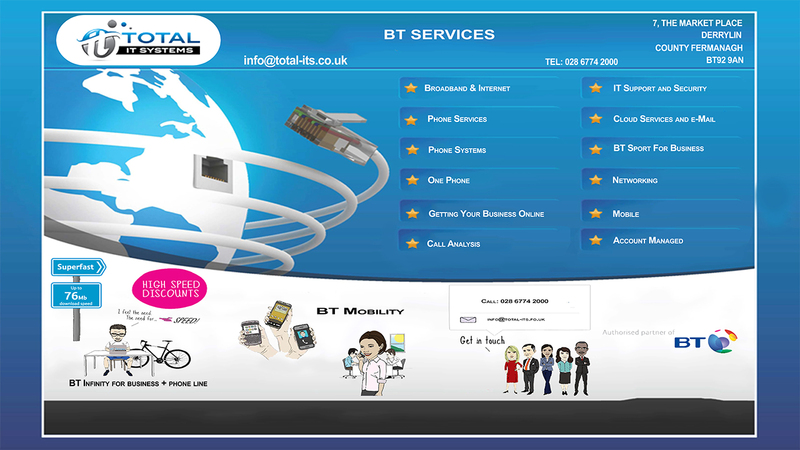 Total IT systems are a BT Registered Partner. That means when you require a new telephone or broadband for your home or business then call us and we take care of the rest. We oversee the complete installation and keep you informed how the job is progressing. Any issue during and after the installation we manage for you, letting you get on with your normal daily business and routines. For businesses we do analysis of your existing bills and help you make saving. We audit your connection to ensure you are not paying for connections no longer in use. We supply the latest telephony systems depending on budgets and requirements. 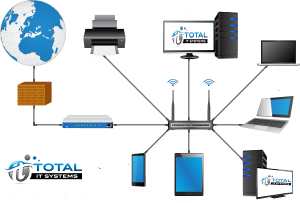 If you have any issues just call Total IT Systems and we do the rest. When you start a new company you need to find and implement cost effective, affordable IT Systems. If you are about to embark on an IT project, for example, to implement a new computer system for your company, or to upgrade your network then you may want an independent consultant on your side. We can provide expertise at any stage for a wide range of IT projects.We provide the answers. Are you looking to get your staff up to date with the latest versions of Microsoft Word, Excel, PowerPoint and Access? We tailor courses to suit your requirements. We offer courses for Beginners, Intermediate or Advanced users. Evening courses showing how to use computers will be available in the Autumn for all age groups. More on this later. We understand the frustrations and the many concerns of Small Businesses when it comes to obtaining effective IT support and services. We understand small businesses and the way they think. So we know how to deliver effective Small Business IT support and services designed for them. We’re genuinely committed to helping our small business clients get the most effective IT support, services and solutions for the IT challenges they face every day. Our main goal is to deliver an IT Support Service that will give your Small Business the IT Infrastructure it needs to reach its potential. Contact Us or read more to find out how our IT support services will integrate seamlessly into any small business. Are your Telephone charges too high. We can help you reduce them. Total IT Systems work alongside our partner Mimecast the No.1 company in the world that does what it says on the box. Mimecast stops the spammers. Total IT Systems are a Registered Cisco Partner. We provide a full range of Cisco hardware and software solutions. Call us on 028 6774 2000 for your requirements. Total IT Systems are proud to be a Sophos Partner. Having worked with Sophos software for over 10 years, it is renowned worldwide for its ability to stop all known existing viruses and has special built in features that alert you for new types of viruses. Centrally managed it can be rolled out over a large network and easily managed remotely. Sophos on your PC does not slow it down like so many others well know anti-virus products. It is free from all advertisements popups and runs silently and efficiently in the background protecting your valuable data.